Profile: Dr. Kang is a Professor in the Department of Architecture & Architectural Engineering and Director for Engineering Education Innovation Center at Seoul National University, Korea. Prior to that, he was an Assistant Professor in the School of Civil Engineering and Environmental Science at the University of Oklahoma, Norman, OK, USA. He has held various affiliated positions in the U.S. and Japan, including Adjunct Professor at the University of Oklahoma, Adjunct Associate Professor at the University of Illinois at Urbana-Champaign, and Lecturer at UCLA, the University of Hawaii at Manoa and the University of Tokyo. Prof. Kang received his PhD from UCLA, his MS from Michigan State University, and his BS from Seoul National University. Prof. Kang is a Fellow of Post-Tensioning Institute (PTI) and a Fellow of American Concrete Institute (ACI). Prof. Kang received the Kenneth B. Bondy Award for Most Meritorious Technical Paper as Lead Author from PTI in 2012, and the Wason Medal for Most Meritorious Paper as Lead Author from ACI in 2009 with the subject of post-tensioned concrete. He regularly teaches the course of Post-Tensioned Concrete Structures at the University of Illinois at Urbana-Champaign every other summer (both on campus and online) and at the University of Hawaii at Manoa every fall (live online lectures). 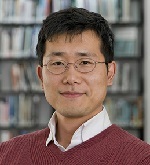 Prof. Kang is an Editor-in-Chief for three journals: International Journal of Concrete Structures and Materials, Journal of Structural Integrity and Maintenance, and Advances in Computational Design; and Associate Editor for PTI Journal of Post-Tensioning Institute. He is one of the founding and voting members of PTI DC-20 Committee, Building Design, and has been a voting member for ACI Committee 369, Seismic Repair and Rehabilitation; Joint ACI-ASCE Committees 335, Composite and Hybrid Structures, 352 Joints and Connections in Monolithic Concrete Structures, and Joint ACI-ASCE Committee 423, Prestressed Concrete; and Joint ACI-ASME Committee 359, Concrete Containments for Nuclear Reactors, as well as various committees in Korea. Prof. Kang published more than a hundred international journal papers and more than a hundred international conference proceedings, including 30 in ACI Structural Journal and 10 in PTI Journal. He has chaired many sessions/symposiums of structural engineering; delivered many keynote/invited speeches; and organized international conferences/workshops as a Chair. Additionally, Dr. Kang has done a lot of practice as a consulting engineer in Korea and the U.S. Prior to joining the academia, he had a working experience in California, USA (e.g., John A. Martin & Associates), and was a licensed Professor Engineer (PE) in California. He is currently working with Precision-Hayes International, a globally leading company in the field of post-tensioning, for the development of new-to-market “smart” stressing devices as a technology & patent holder and consultant. Profile: Dr. Ashraf El Damatty, Professor and Chair of the Department of Civil and Environmental Engineering at the University of Western Ontario, London, Ontario, Canada. He is a Fellow of the Canadian Society of Civil Engineering and Fellow of the Engineering Institute of Canada. He is a Research Director at the WindEEE Research Institute and Co-Editor-in-Chief of the Journal of Wind and Structures. He held the title of High End Expert at Tongji University, China. He obtained a BSc. and M.Sc. from Cairo University in 1986 and 1991 respectively, a Ph.D. in Structural Engineering from McMaster University, Canada in 1995, and an MBA in 2016 in Higher Education Management from University College, London, UK. He is the founder of the Canadian Society of Civil Engineering (CSCE) Steel Structures Committee and serves currently as the CSCE Structures Division. He has consulted on many projects in North America and the Middle East. He has written over 200 publications and has secured research funding exceeding $20.0 M. He has supervised more than 30 Ph.D. and 20 M.Sc. students and has been invited as keynote speaker in many countries around the globe. He received several awards including the Alan Yorkdale Award by ASTM, Best Paper Award at the Canadian Conference on Effective Design of Structures, Honourable Mention in 2014 Casimir Gzowski Medal Competition, 2015 CSCE Whitman Wright Award, 2016 CSCE Horst Leipholz Medal, Western University Faculty Scholar Award, and the 2018 Professional Engineers of Ontario Research and Development Award. His research work has influenced the international codes and the engineering practice worldwide. Profile: Prof. Lee is currently a faculty of the Boston Architectural College in Massachusetts, US, and a Senior Associate at Sasaki Associates, Inc. in Massachusetts, US as a licensed architect with 15 plus years of experience. He received a BS (1998) in Aeronautical Engineering from Seoul National University, Korea, a BS (2000) in Architecture from the same school, and an M.Arch (2007) from School of Architecture at Yale University, U.S.
Prof. Lee is a member of the American Institute of Architects (AIA), a member of Boston Society of Architects (BSA), a member of U.S. Green Building Council (USGBC), and a member of Architectural Institute of Korea (AIK). He is also a peer reviewer of international journals including Nexus Network Journal and Architectural Research, and a research project reviewer of National Research Foundation of Korea. Prof. Lee has been teaching multiple Master’s Thesis Studios and advanced architectural workshops of design computation and digital fabrication in the Boston Architectural College since 2011 with the unique pedagogy focusing on the integration digital design and between multiple disciplines. Prof. Lee is also an active part of an emerging generation of designers deeply immersed in the exploration of emanating technologies in architectural practice, with a special interest in design computation and digital fabrication, while maintaining a practical relevancy in their application to professional practice. He explores the reciprocal relationship of computational design and fabrication processes in design methodology, and help students apply algorithmic approach to architectural design context and further re-define the future of practice. As a leader of a design computation group at Sasaki Associates, he explores the diverse digital technologies and workflow to expand design capability. Prof. Lee’s research stems from his experience in both academia and practice, and efforts to improve design methodology, which offers design possibilities through integrative design media and generative algorithms. He has published in many journals including Architectural Research, Journal of Journal of Asian Architecture and Building Engineering, Automation in Construction, Nexus Network Journal, Advances in Computational Design, and presented his works at International Conference on Sustainable Building Asia 2016, AIA Conference on Architecture 2017, and ASHRAE 2017 Building Performance Analysis Conference. Profile: Professor Ting-Chuen Pong is the Director of the Center for Engineering Education Innovation and Professor of Computer Science & Engineering at the Hong Kong University of Science & Technology (HKUST). He is a founding faculty member of HKUST, where he had served as a Senior Advisor to the Executive Vice-President and Provost, Associate Vice-President for Academic Affairs and Associate Dean of Engineering. Before joining HKUST, he was an Associate Professor of Computer Science at the University of Minnesota, Minneapolis, USA. Prof. Pong is currently a member of the Quality Assurance Council and the Research Assessment Exercise Group of the Hong Kong University Grants Committee (UGC), as well as the Steering Committee on Research Themes and Topics of the Hong Kong Research Grants Council. He served as Academic Research Advisor for the UGC from 2010 to 2012. He is currently also serving as a member of the Hong Kong Council for Accreditation of Academic and Vocational Qualifications (HKCAAVQ) and Chair of the Qualifications and Accreditation Committee in HKCAAVQ. Prof. Pong received his Ph.D. in Computer Science from Virginia Polytechnic Institute and State University in 1984. His research interests include Multimedia Computing, Computer Vision and E-learning. Prof. Pong is a recipient of the Pattern Recognition Society Award in 1990 and the HKUST Excellence in Teaching Innovation Award in 2001. In 2014, he led the HKUST team in the Wharton-QS Stars Awards Competition and was selected as Winner of the Natural Sciences Award and Runner-up of the Hybrid Learning Award. Profile: Dr. Patrick Safran is an experienced international development practitioner with 34 years of demonstrated history of working in the international trade and development industry. He is skilled in peace and conflict studies, sustainable development, policy analysis, strategic planning, and biodiversity. He has strong community and social services professional expertise with a?Habilitation à Diriger des Recherches? (HDR) in Natural Sciences and a Doctor degree in Biology from University of Lille 1 Sciences and Technology (France), and a Doctor degree in Agriculture from Tohoku University (Japan). He is Expert for the European Commission–Education, Audiovisual & Culture Executive Agency (Erasmus+). He was adjunct Professor at Incheon National University (INU) and Head of International Relations of the International Center for Urban Water Hydroinformatics Research and Innovation, teaching climate-fragility risks and their potential implications on livelihoods and food security with strong focus on water resources management and planning (e.g., restoration and protection of aquatic ecosystems, resolution of water dispute and cooperation, disaster risk reduction), especially in the developing countries of Asia and the Pacific through an effective use of the official development assistance (ODA), the international cooperation and technical assistance. Prior to joining INU, Dr. Safran worked 19 years at the Asian Development Bank (ADB) where he was the corporate?focal point for fragile and conflict-affected countries supporting ADB operations in this context. Previously, he helped developed ADB’s strategic and results-oriented approach to fragile situations; principal author of the policy and focal point for disaster and emergency assistance; ICT coordinator; and project specialist and focal point for coastal and aquatic resources management. Prior to joining ADB, Dr. Safran was the Regional Manager for Asia-Pacific and Latin America at the French Agency for Agricultural Research for International Development (CIRAD). Dr. Safran is the Honorary Theme Editor for Fisheries and Aquaculture of the UNESCO Encyclopedia?of Life Support Systems and he has authored many papers covering his diverse career. He has also participated in many international symposiums and delivered many keynote/invited speeches.